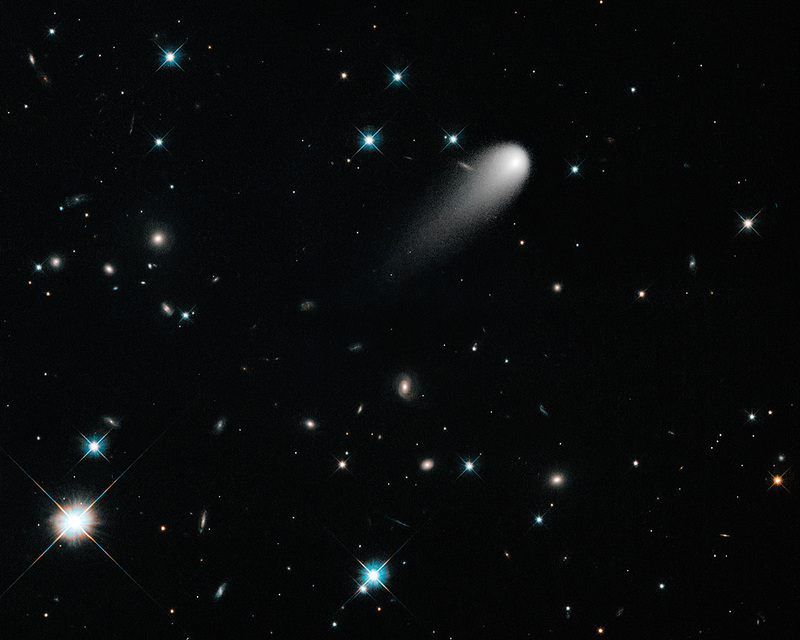 In this Hubble Space Telescope composite image taken in April 2013, the sun-approaching Comet ISON floats against a seemingly infinite backdrop of numerous galaxies and a handful of foreground stars. The icy visitor, with its long gossamer tail, appears to be swimming like a tadpole through a deep pond of celestial wonders. In this composite image, background stars and galaxies were separately photographed in red and yellow-green light. 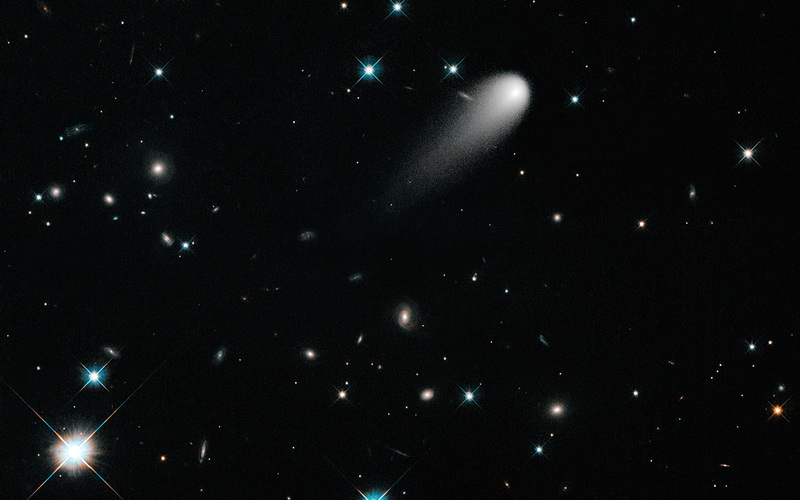 Because the comet moved between exposures relative to the background objects, its appearance was blurred. 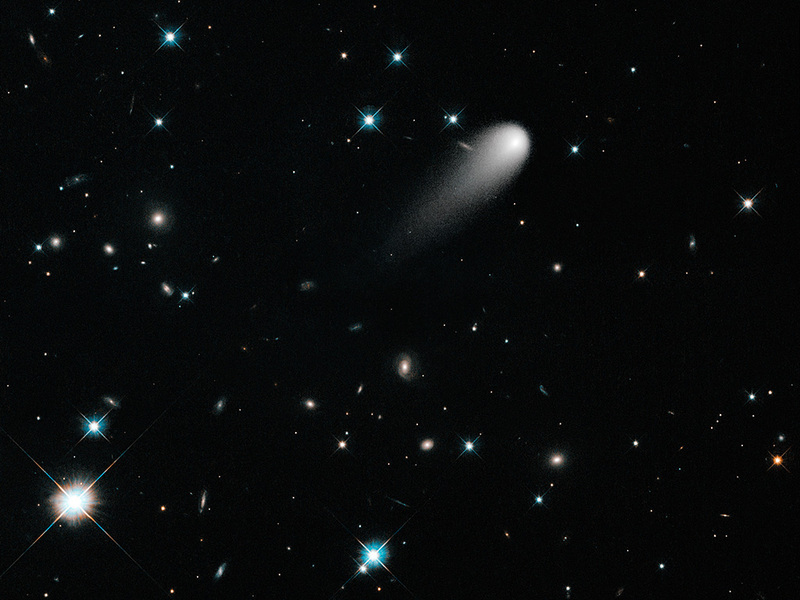 The blurred comet photo was replaced with a single, black-and-white exposure. The images were taken with the Wide Field Camera 3 on April 30, 2013. 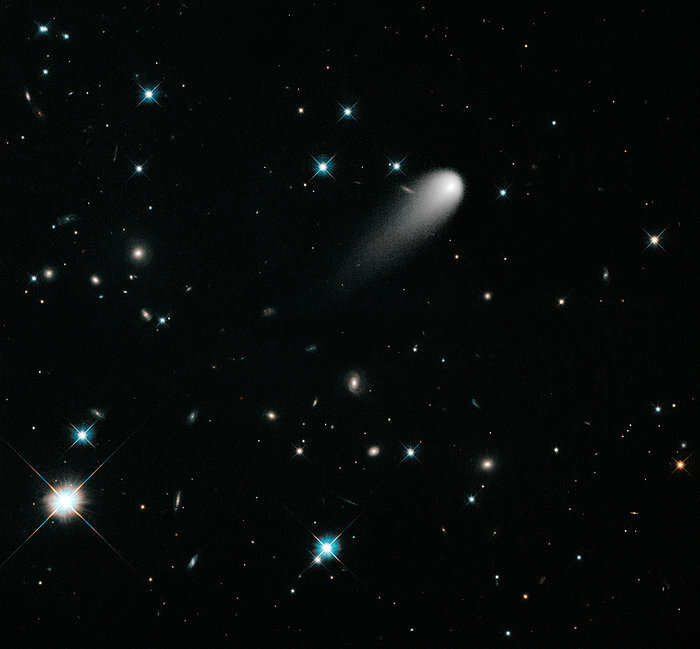 This photo is one of the original images featured on ISONblog, a new online source offering analysis of Comet ISON by Hubble Space Telescope astronomers and staff at the Space Telescope Science Institute in Baltimore, USA.